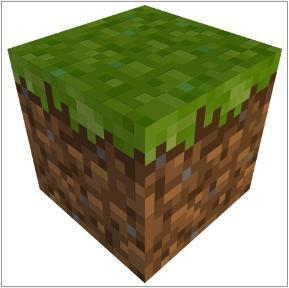 If you want to shift Minecraft saves from computer-to-computer or upload them to the Internet you must first locate the world file on your computer. While this is pretty straightforward with Windows machines, it is a little more complex when it comes to computers running Mac OSX. To even be able to see Minecraft world files in the Finder on a Mac you have to un-hide the hidden files, because by default Mac OSX hides all the files that normal computer users probably won’t use – including Minecraft world files. And this is what this tutorial is for: To show you exactly how to un-hide and locate Minecraft world files on your Mac. Hiding and un-hiding Mac OSX’s hidden files can only be accomplished via a terminal command. The terminal, if you weren’t aware, is an application built into Mac OSX that allows you to access the raw UNIX interface behind OSX. So open up the terminal now (if you don’t know where it’s located on your Mac, just search up “terminal” in spotlight). Now all you’ve got to do is locate the Minecraft world files in the Finder! So go to your Mac’s home folder, open the now-visible library folder, go into ‘application support’, then ‘minecraft’, and finally ‘saves’ (if you’re lost, check out the screenshot below). And there you have it: You will see all of your Minecraft world files/save files in this folder. So to transfer the files from here to another computer simply duplicate the world file and place it in the very same folder on the other computer – although if the other computer is a Windows or Linux machine the location will be different.